Five years after the global financial crisis, the world economy is showing signs of bouncing back this year, pulled along by a recovery in high-income economies. An important, hard-learned lesson from the crisis is the need to ensure that future growth delivers a resilient, inclusive and greener future for all. This can be only be achieved by promoting inclusive growth, ensuring quality jobs and building trust. This will be discussed in detail at the upcoming OECD Forum 2014. Could the recovery from the worst crisis in half a century finally take hold in 2014? A million dollar question. There are several encouraging signs, not the least in the US, where growth is expected to accelerate towards three per cent in 2014. Economic activity is also picking up in Europe, Japan and China. Business confidence is edging higher with almost half the business executives expecting the global economy to get better or much better over the next six months, according to ‘Global Business Barometer’ survey done by Financial Times / Economist. Take for example Alcoa, the third largest producer of aluminium in the world. The company reported higher revenues in the third quarter of 2013 despite low metal prices. Growth in demand for aluminium is a result of improvements in the global markets, particularly in Europe and China. This is supported by the bullish outlook of the UAE’s own aluminium industry. Higher demand for the metal is often a positive indicator of recovery and is usually driven by growth in industries such as construction, car manufacturing, packaging and aerospace. This is one sector. There are several such examples which have raised a sign of hope for the coming times. Many large economies in the world are turning bullish. Japan and Brazil expect higher growth this coming year. In India, a pickup in the economy has been noticeable. “Global economic indicators show improvement. But one does not have to be especially astute to see there are dangers that lurk beneath the surface. The Euro Area is out of recession but per capita incomes are still declining in several countries. 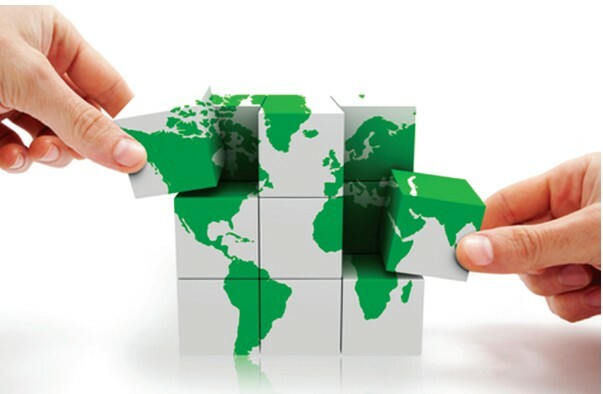 We expect developing country growth to rise above five per cent in 2014, with some countries doing considerably better, with Angola at eight per cent, China 7.7 per cent, and India at 6.2 per cent. But it is important to avoid policy stasis so that the green shoots don’t turn into brown stubble,” said Kaushik Basu, Senior Vice President and Chief Economist at the World Bank. A report by Eurostat, the Luxembourgbased statistical agency of the European Union stated that the euro zone economy grew slightly faster than expected in the last three months of 2013, bringing welcome news for the global economy amid signs of slowing in the US and China. Although growth in the 18-nation currency union is still weak, at a 1.1 per cent annualized rate, it was the euro zone’s third straight quarter in positive territory, indicating that the bloc is well beyond the year-and-a-half recession that ended in mid-2013. Germany and France, the two largest euro zone members, led the upturn. The Netherlands broke out of recession, and the pace of growth picked up modestly in Portugal, Spain and Italy. 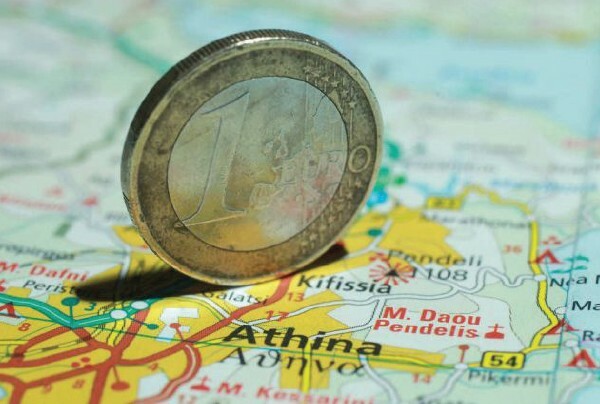 The euro zone economy grew 0.3 per cent in the fourth quarter from the previous quarter, when it expanded 0.1 per cent, according to the report. The quarterly rise was better than the 0.2 per cent growth economists had been expecting. The acceleration in growth is reflected in the automobile industry, one of the sectors hit hardest by the slowdown in the euro zone. Ford Motor said that sales in its 20 most important European countries rose 9.2 per cent in January compared with a year earlier. It was the eighth consecutive month of improving sales and followed several months of upturn in the overall car market. ArcelorMittal, the world’s largest steel maker, said that it expected demand in Europe to increase as much as 2.5 per cent this year, a welcome change from the steep slump the industry has endured since 2008. Despite setbacks to emerging markets in early 2014 and the crisis in Ukraine, the European recovery still looks intact. Across the 28-strong European Union, GDP will expand by 1.5 per cent this year and by two per cent in 2015, according to new forecasts from the European Commission. Across the 18-strong euro zone GDP will rise by 1.2 per cent in 2014 and by 1.8 per cent in 2015. As businesses become more confident, they are concerned about skilled labour. The FT’s survey showed that talent and skills shortages have been slowly increasing. Respondents from North America were most concerned about skills shortages with 39 per cent citing it as one of the biggest worries for their business. It is matter of fact that due to economic slowdown, young people and the lowskilled have been hit the hardest, and youth unemployment remains at dramatically high levels in many countries. Persistent high levels of unemployment and growing levels of inequality have increasingly eroded people’s trust not just in their governments, but in the system as a whole. A shortage of skills among European youth is holding back the region’s companies, painting an even grimmer picture of life for both the continent’s industries and its young people, almost a quarter of whom are without jobs. The job prospects for under-25s in the continent have been badly hit by the financial crisis, which has left more than half of younger people in Europe’s more troubled economies out of work and has meant that, at 23.6 per cent, the region now has one of the highest youth unemployment rates in the world. What is often overlooked amid these grim statistics is that a few countries, like Austria, Chile, Germany and Korea, saw a sizeable drop in unemployment rates among their youth. 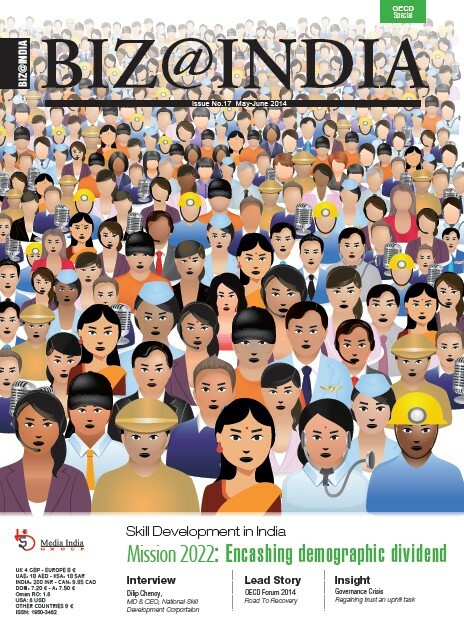 With the right policies and economic environment, these countries have proven success along three lines: build the skills that foster employability; give young people the opportunity to make their skills available to the labour market; and ensure that those skills are used effectively at work. In the case of young people in the OECD countries, nearly eight million are not in employment, education or training, a generation that could be scarred for life by lower wages and precarious employment. The problem is the changing pattern of skill development. Rather than mere delivering good education at all levels of society, it is vital to keep young people abreast with the latest patterns at the workplace and what exactly the job market requires. In addition to skill shortage, a wave of corruption and scandals is at the unprecedented levels, which has put a question mark on ‘trust’. Tax dodging is another reason which put the EU in loss. Many countries are under immense pressure to put their public finances back on a sustainable footing, yet at the same time investment must be made to generate confidence and kick start growth. It is essential that growth becomes more inclusive and sustainable. That means reducing radically the intensity of energy and natural resource use; harnessing the full potential of entrepreneurship, innovation and technological development; and improving governance and transforming institutions. Therefore to achieve sustainable future, the three pillars are inclusive growth, quality jobs and rebuilding trust in the system. We need economic growth to pay for the things we need in life – education, health, housing, roads. But how to ensure that growth benefits everyone, without further widening inequality and exclusion? More than 200 million people are out of work worldwide and poverty continues to affect millions more; in many countries, the gap between rich and poor is widening, youth unemployment is soaring, and access to basic services remains a challenge for many. The global community is calling for change – for solutions that foster economic growth in a more inclusive manner, where the gap between the rich and the poor is less pronounced and the “growth dividend” is shared in a fairer way. “Economic growth should deliver better living standards for all, and increased prosperity must be accompanied by better social outcomes and well-being. Therefore, the benefits of stronger growth should be shared more evenly in society. Together, with the right tools and policies, we can make it happen,” Gurria said. Therefore, to sustain high and inclusive growth, it is important to look for these areas of concern. Inclusive growth would help to make current debt levels more sustainable and create more space to deal with social and environmental challenges. Since the crisis, levels of inequality have been rising further; due to high rates of unemployment, long-term structural unemployment, in-work poverty, and low-paid employment in insecure jobs with little social protection. Skills and knowledge is a critical element to addressing the challenges and opportunities for growth in this highly competitive and globalized world. A vibrant manufacturing, especially, Small and Medium Enterprises (SMEs) sector can play a key role in creating jobs and high economic growth. It has the potential to provide employment for the exceptionally large labour force that is still working in agriculture. Achieving and sustaining such growth and higher employment will require a boost in industrial and services growth, spurred by SMEs. The most promising solution to these challenges is investing effectively in skills throughout a lifetime: from early childhood, through compulsory education, and during the working life. When addressing inequality, ensuring access to skills is a key. Skills are critical to empowering individuals, to contributing to their resilience and flexibility in adapting to innovation, improving health outcomes, and increasing trust in political processes and peers. The crisis has shone a spotlight on concerns about undue influence over public policy, and has led many to question the ability of our governments and institutions to find solutions. Low levels of trust mean that fewer citizens vote. It also reduces social cohesion, makes reform difficult, limits access to financing and the capability of governments to re-launch growth. This is a central topic as this year features numerous elections in OECD countries, and in Brazil, Colombia, India, Indonesia, and South Africa. An important, hard-learned lesson from the crisis is the need to ensure that future growth delivers a resilient, inclusive and greener future for all. OECD work has continued to promote inclusive growth, boost skills, and support our members’ efforts to create more and better quality jobs, particularly for the young. 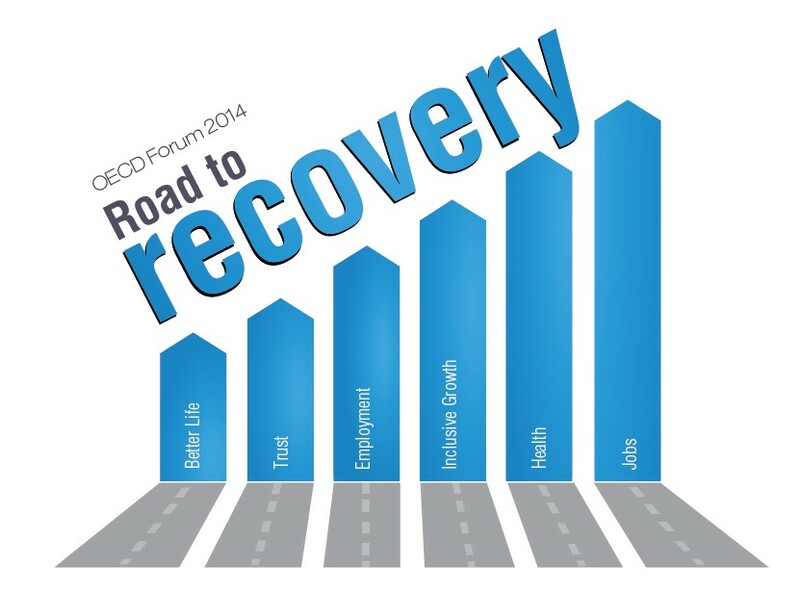 Building on last years’ discussions, OECD Forum 2014 will offer an opportunity to reflect further on what governments, international organisations and the various OECD stakeholders must do to help develop more resilient economies and societies. Gurria said, “In 2014 a tentative though firming recovery is on the cards. To nurture and sustain it, we must let cooperation guide our thinking and our actions. Together we must dedicate ourselves to the ongoing task of building a stronger, cleaner and fairer world by adopting ‘better policies for better lives’.” The global financial crisis isn’t over, but the world is moving on!